Staying at my parents for a week while our hardwood floors were refinished definitely had some perks. One of those was that we were closer to a few tourist destinations that I wanted to check out! However, when our plans weren’t working out one day, my mom suggested the MAPS Air Museum. I’m so glad she did because we had a high-flying time (pun intended). 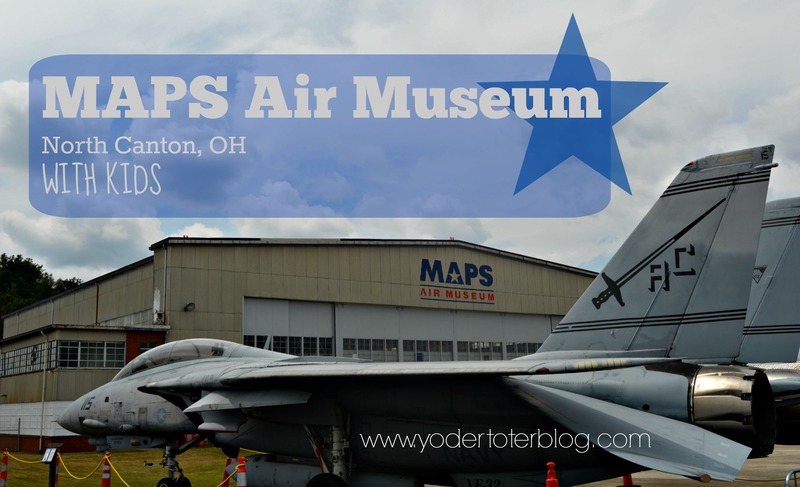 The MAPS museum is located just seconds from the Akron-Canton airport in NE Ohio. From the outside, the hangar looks a little dilapidated, like nothing to write home about. 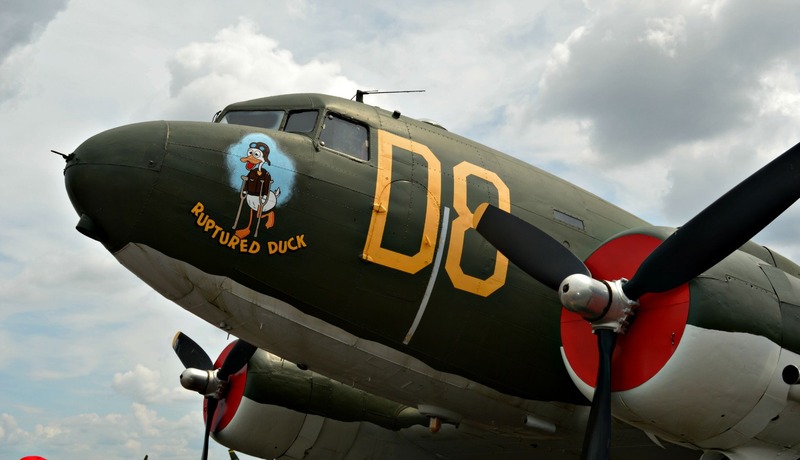 Once inside, however, it is a treasure trove of artifacts from a WWII bomber to a Goodyear Blimp and even a military tent hospital. 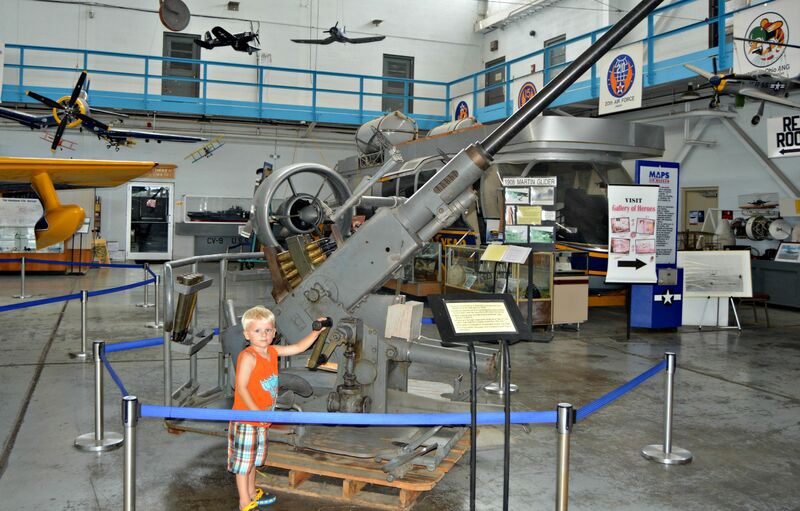 Our 3-year-old is fairly fascinated with planes and guns, so this was just the place for him. 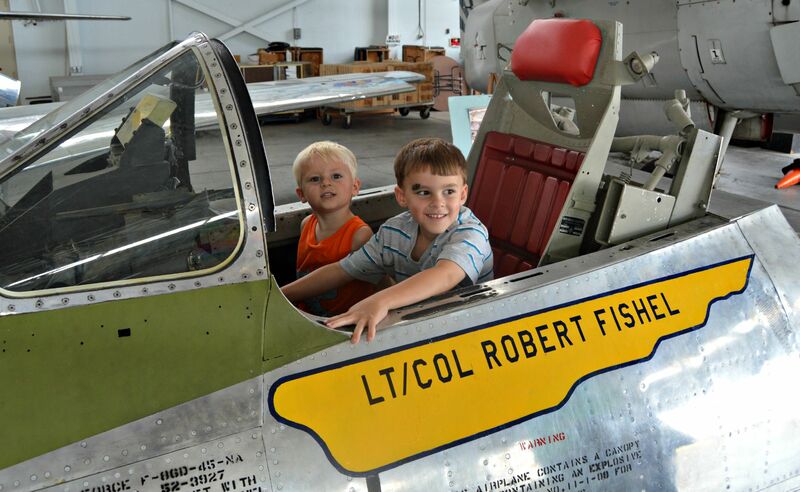 There are many cockpits to sit in, you can climb aboard the Goodyear blimp cabin, and there is even a WWII plane to walk through. Learning is so experiential at this age, so I loved that the boys could really step into history and see how things worked! This gun was the highlight of the day! I sat in the other seat and moved the gun up and down while Olen steered us around and around. Notice the blimp cabin in the background. This plane can be toured. It was probably 130 degrees onboard the day we visited so our tour was quick!! There are many small planes in the hangar, but outside there are larger jets and the military jeep. We spent about 90 minutes at the museum. If you had older children you may need longer, as there is also an air-conditioned Hall of Heroes where you can see uniforms of local servicemen and women from wars of the past 50 years. There are personal souvenirs of each individual and some explanation of their time in service. This was very interesting, but our children were too young to comprehend. The hangar is not air-conditioned so bring a water bottle! We had no problem using our double stroller! Obviously you’ll need to access stairs to get into the open aircraft but the stroller will maneuver just fine on the hangar floor. The brochure stated the the museum was appropriate for ages 5 and up. I did not notice this until we were exiting (oops- which may explain why the worker at the front desk seemed a little cranky when I showed up with a toddler and a preschooler!). Nonetheless, my 3-year-old got much more out of our visit than my 5-year-old. I guess you can use your own discretion when planning a visit.